What do you do when you find yourself suddenly attracted to someone other than your spouse? Most adulterers do not set out to commit adultery. In fact, 90% of interviewees described their experience with extra marital affair as “blindsided,” “shocked,” and “never saw it coming.” Is it possible for a person to be “ignorantly and innocently” prepared for adultery? To the point that they cannot resist the infatuation? 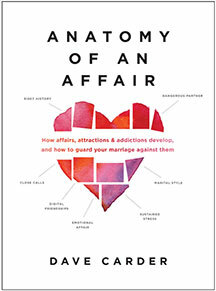 The answer is “yes” and the set-up, the sources, and the sequence that lead people to commit adultery will be covered in this book, Anatomy of an Affair.